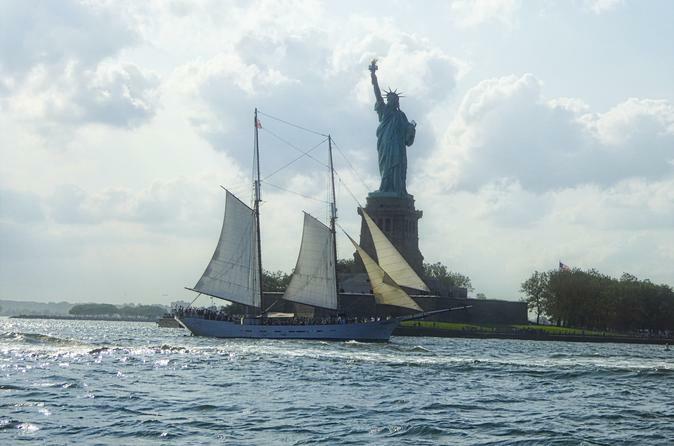 Join your crew as they unfurl the canvas and set sail for a peaceful 1.5-hour cruise across New York Harbor. See Manhattan's skyline from the spacious main deck or raised quarter deck, and have the opportunity to snap photos of Ellis Island from the water. This is truly a unique way to see New York while you take in the best views of Lady Liberty. Special Offer - Book by August 1st to save 15% off our previously offered price! - Book Now!